José António Baião Carochinho holds a Ph.D. in Psychology from the Faculty of Psychology of the University of Santiago de Compostela. He has a Masters in Organizational Behavior by ISCTE and he holds a Bachelor degree in Social Psychology from ISPA. 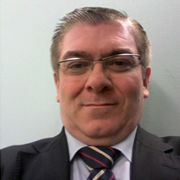 He is currently Assistant Professor at the Lusíada University and at the Lusófona University. His research interests are divided between Psychology and Political Science, namely organizational behavior, psychological assessment, electoral behavior, values and behaviors of young people in relation to politics. He is also interested in the new political movements.